Can’t wait to see the Mountaineer defense slam the door on the Bears this weekend! 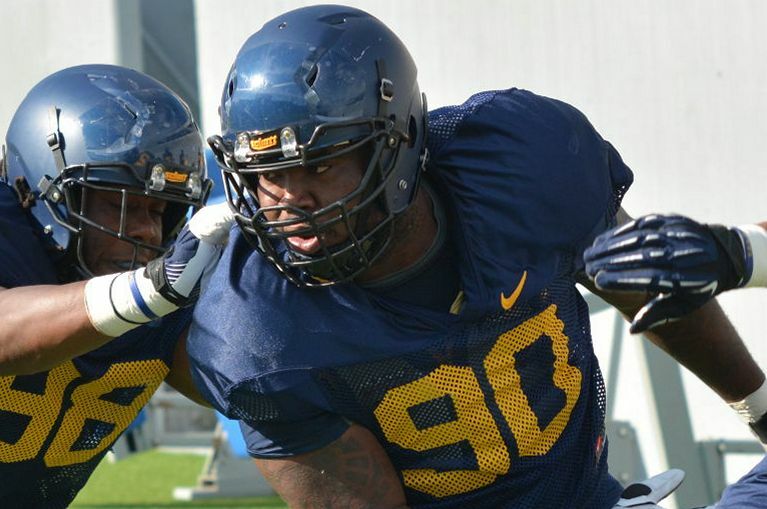 As skeptical as he is stout, West Virginia nose guard Shaq Rowell needed convincing when defensive coordinator Keith Patterson told a roomful of players they could be conference champions. The Mountaineers (3-2, 1-1) remain a long way from a Big 12 title, but not nearly as far as they were before upsetting preseason favorite Oklahoma State. Though it seems fanciful to imagine, West Virginia—after splitting games against Oklahoma and OSU—could become a serious contender with a victory over No. 17 Baylor (3-0, 0-0) on Saturday. Rowell fawningly credits Patterson for this season’s defensive turnaround, while joking that his coordinator is “bipolar” — a hollering taskmaster during practices who becomes reassuringly optimistic on gamedays.